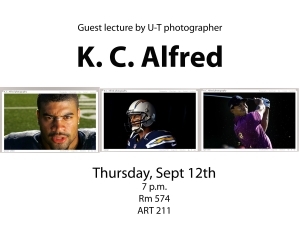 K. C. Alfred will be a guest speaker in the Art 211 class this Thursday, Sept 12th, 7 p.m. 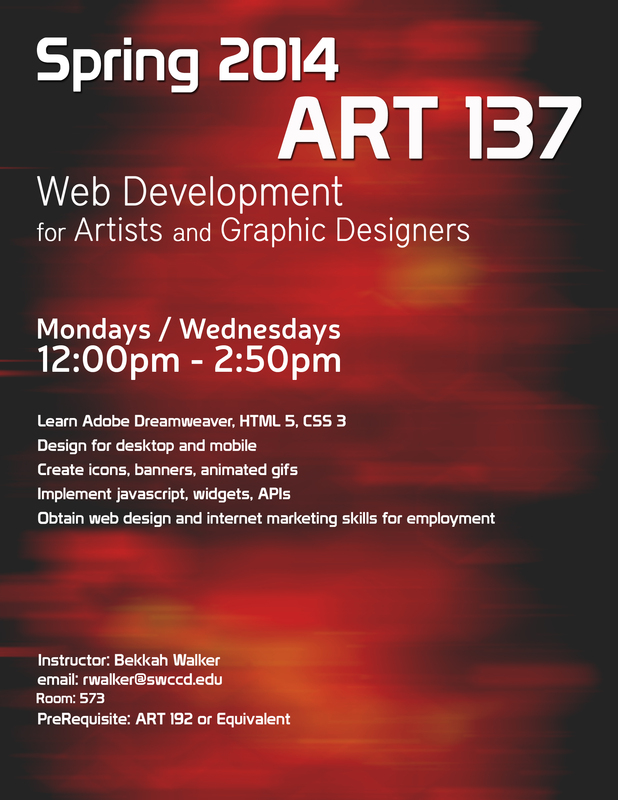 The talk will be in room 571. 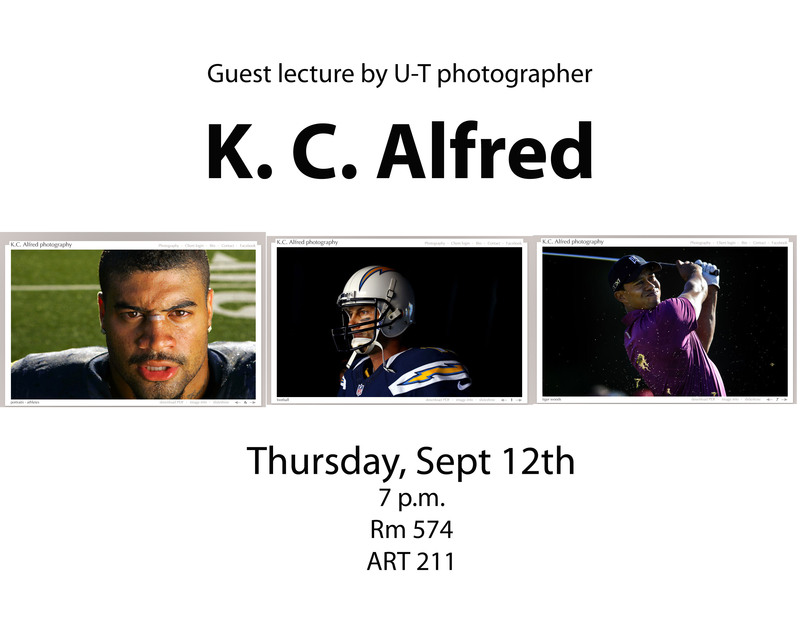 He is known for his amazing sports photography, portraits, and he is also a general assignment photographer on staff at the U-T.